Tennis is one of the many sports in the world that attracts a lot of audiences ever since it began. 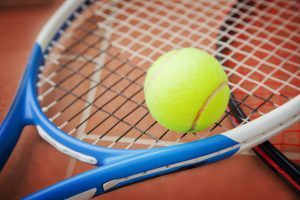 Like any other sports, tennis also made many names from different nationalities known to the world. However, when we think about the sport, the first thing that comes to our minds is the tennis racket. It primarily symbolizes the sport along with the tennis ball. 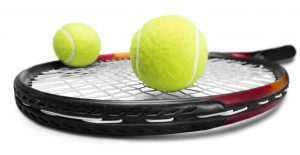 When it comes to tennis rackets alone, there are many types on the market that are very convincing and offer great features if you want to play the sport. These rackets differ, however, in the ability it provides you during the game. Here, we will reveal the 2018 top 10 best rackets online you should consider on your list. We will also give you a guide on how to choose the right one, depending on your skill level. So let’s start digging! Before we explore the top 10 list of the best rackets in 2018, we will first let you understand the essentials of choosing your tennis racket. It is always best to take note of the factors first before searching for the items online. This way, you will make sure that whichever you will choose, your satisfaction will be guaranteed and your effort will be worth it! The first and most important part of choosing the right tennis racket is the racket’s weight. Its weight chiefly affects your performance and enthusiasm during the game. And the weight is generally categorized into two – a lightweight and a heavyweight. The heavy one usually weighs around 300 g, while the light racket typically weighs around 260 g.
Light rackets are very handy and easy to use, which is chiefly recommended for beginners. However, a too-light racket may not be ideal for beginners as it needs full control so that the ball won’t get out of hand. The player also needs to insert too much effort in balancing the receive and return shots. Therefore, the recommended racket weight for beginners is around 260-280 g for women and 280-300 for men. However, if you are an advanced player, the ideal weight for you is a heavy one. A heavy tennis racket requires good control when playing, especially during smashing and swinging. It is, however, recommended to still do the selection of rackets yourself so you can have a good comparison if a heavy racket really suits you. 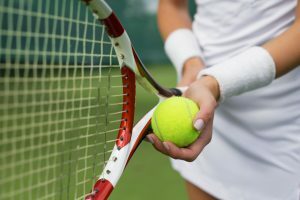 Next essential thing to consider is the racket’s “face area.” This part of the racket determines the easiness of the ball when shot to the opponent and when caught from the opponent. The general size of the racket’s face area is 85 to 135 square inches; however, sizes also vary according to racket types. 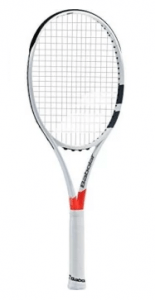 Mid-sized, midplus, and oversized rackets measure from 85 to 95, 95 to 105, and 105 to 135, respectively. For women and seniors, an oversized racket is recommended as it has a larger surface area for the ball. Players don’t have to insert too much force when using it too. On the other hand, for advanced or experienced players, they have the option to choose a mid-sized racket as it is easier to swing and control because it is lightweight. The only issue with a mid-size is the “sweet spot.” Because its face is smaller and it has a limited space, players will have a difficulty smashing and receiving the ball. Therefore, the ideal size for them would be the midplus. Also, players who want to improve their performance must use the midplus racket as it can help them during the game. For aggressive players who have powerful control over their smashes and swings, a thick frame won’t do well because the racket is already powerful. Too much power on the racket can make you lose control over the ball. Male players are not advised to choose a racket with a thick frame too because of their natural manly strength. Thick frames, however, are best for female players who have lesser force than male players. On the other hand, because male players are not suitable with thick frames, they are indeed great with thin frames. 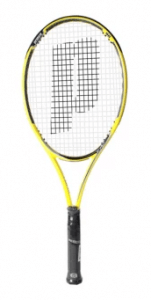 Thin frames offer a firm control over the racket, which perfectly supports their natural powerful strength. This allows the ball to fly over the direction the player wants to go to. To put it simply, rackets with thick frames are best for female players, while rackets with thin frames are ideal for male players. Here, we will list down the top 10 best tennis rackets of 2018. This will serve as your awesome guide to getting the best racket for you! This amazing Head racket perfects your training by being lightweight and maneuverable. It’s a tennis buddy for kids and for smaller adult Filipinos who are still practicing and training the basics of the sport. The racket is made of aluminum, much heavier than graphite but more durable. It also has a special feature of a Damp+ insert to dampen vibrations and shocks. Its length is just perfect for kids and smaller Filipino players. It gives you a comfortable and cheerful way to start your tennis journey! 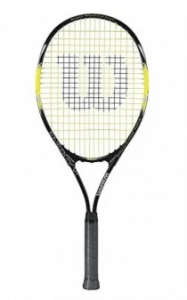 This incredible Wilson racket kickstarts your game with its length and extra-large head. It is a racket for beginners who want to learn tennis awesomely and for those who play tennis as a recreational game! It increases your power with its V-matrix technology that allows a large sweet spot. 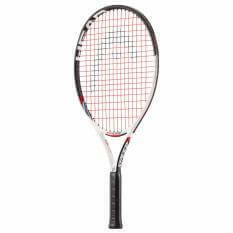 The racket is also made of AirLite alloy that makes it easy and light to handle. It also features stop-shock sleeves that reduce vibration when catching the ball and allow you to a greater control. This is a great way to your tennis world! The Pure Strike 100 lets you experience an excellent balance through a good combination of control, spin, and feel. It’s a racket designed for intermediate players who have mastered power but lacks good control. The racket also is perfectly weighted to match the intermediate player’s strength. Its frame is designed thick with key locations to improve precision, power, and stability. The racket has FSI power technology that boosts playability, comfort, spin, and power too. This is also great because it comes with free stringing where you can choose your own color for an outstanding appearance! 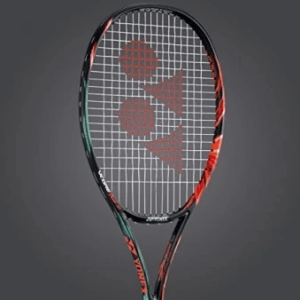 This Exo3 Rebel 98 racket lets you create great control and surprising power with every hit. It’s a racket designed to support many playing styles – an exceptional fit for intermediate to advanced players! It also allows players to generate spin and depth easily. This racket also brings punch, confidence, and maneuverability on the ball. You’ll also enjoy spinning it a lot with good consistency. For returns, a combination of maneuverability and stability has proven effective with this racket. It’s a racket that easily blends in! This racket from Dunlop offers the Biomimetic technology that features 3 extraordinary advancements that power up your performance. The Gecko-Tac Grip wicks away moisture, allowing you to get a good grip on the racket. Its Aeroskin technology speeds up your every move, while HM6 Carbon evenly distributes unwanted frequencies for a minimal energy loss. It’s a racket for intermediate players who still lack depth and variety! Also, the racket’s extra-weight head provides an incredible solid power, and its string pattern adds good spin and control. It’s a racket you don’t want to miss! This G3 Ezone DR 983 makes a blend of what you are looking for in a tennis racket – spin, control, power, and maneuverability. It’s a perfect racket for intermediate to advanced players who want a racket with a modern blend like this one! 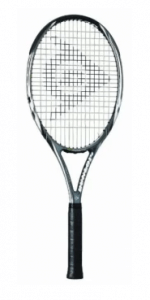 The racket also offers excellent performance and playability, and improved stability and feel. It increases ball speed by letting you insert firm power to your hand, channeling it to the racket. 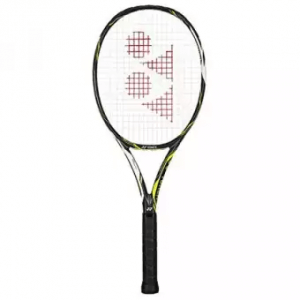 Its Ezone DR 983 technology is the exact support for players who love powerful smashes. It’s definitely a consideration on your list! This amazing racket from Prince gives you a feeling of becoming a warrior on the court. It’s a brilliant option for both beginners and intermediate players who are in search of a maneuverable tennis weapon! Its hot pink color adds more attraction on the court. Its exceptionally strung surface speeds up the movement of the ball, allowing you to create a powerful hit. The racket’s head perfectly supplies the margin of error to have a clean contact with the ball. The TeXtreme technology boosts the overall stability and flexibility of this racket. It’s a wonder racket you can add to your collection! This is indeed a lightweight and fast racket that allows you to maneuver on the court, intimidating your opponent. It’s a racket for intermediate to advanced players who prefer a fast-pacing game! 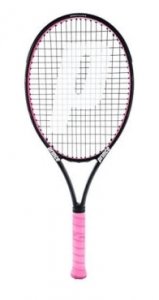 It also features a Tough G fiber technology that increases the racket’s stiffness, great for resisting shocks. It also has a large surface area for a better sweet spot. This awesome racket promises powerful serves and maneuverable returns as well. It’s a versatile racket that enhances your performance anywhere on the court. This is truly a sure thing! The oversized Hyper Hammer assures boost in power and better control, which aids in giving powerful groundstrokes. It’s a racket for advanced players who want more than just improving their performance! The 5.3 string tension, which is more open than the previous models, allows you to generate a better spin, making control easy. This racket also lets you hit the ball more, without many shots flying long. Your slice backhand also enhances, which creates incredible returns. The racket gives more space for the sweet spot, where the key to your performance lies, as well. It’s an oversized tennis racket that surely competes with the other midplus rackets on the market! With the finest rackets listed above, you’ll know at this point which suits you and your playing needs. A single brand may offer different types of tennis rackets, but it is always safe to check the description of each model to make sure you know what you are looking at. This is not only about how good you are on the court but also how the racket supports your game and turns it to your advantage!